You may remember Cakies from the pretty Watercolor Bubble Art post. If you haven’t hopped on over to her blog yet, it’s an absolute must. 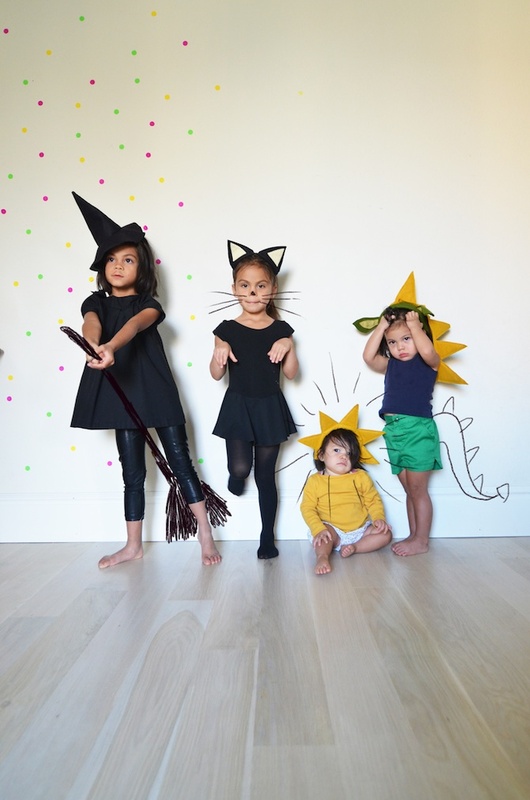 Last year for Halloween her daughter’s dressed up as a Barbershop Quartet and this year they have been decorating with Black Cats and Friendly Ghosts. When they’re not decorating or dressing up, they Like to Hang Out on their hammock in the living room! Hello Prudent Baby readers! I am Rubyellen from Cakies and I am honored to share some quick little projects here. Halloween is coming up and sometimes it’s tough to figure out what to make or where to find the time to make something. These little projects don’t take very much time, but can definitely give the right punch for this fun holiday! Note: When printing out the project templates, make sure your print setting is scaled to 100%. 1. Cut out all your pieces (1- cone, 1- circle, 2- rectangles for straps). 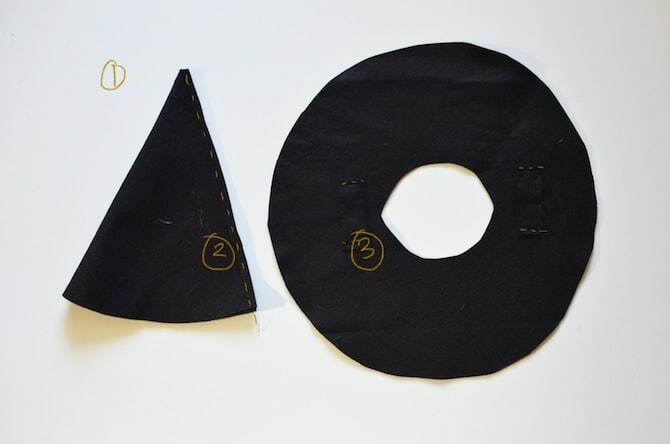 When cutting out the base of the hat, cut on the fold so that you will get a full circle. 2. Line up the straight edges of the cone and sew. 3. 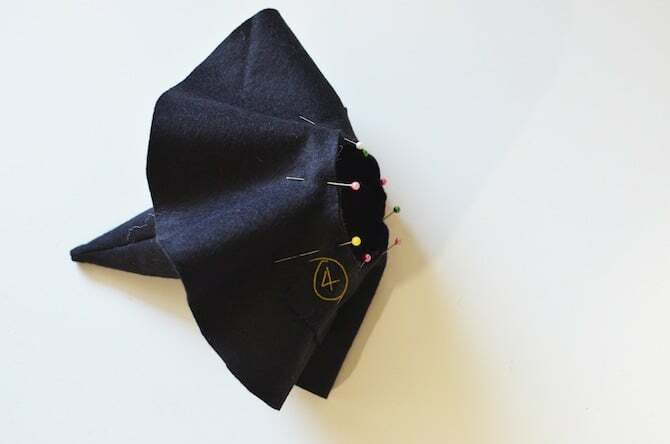 On the underside of the hat, sew the rectangle straps on opposite sides of each other about ½” from the inner circular edge. 4. 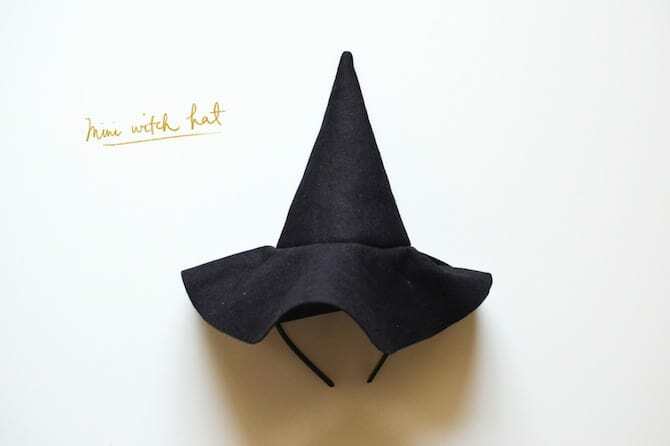 Turn the cone right side out and pin onto the hat base with the right sides together and sew. 5. Attach headband through rectangle straps and wear! 1. 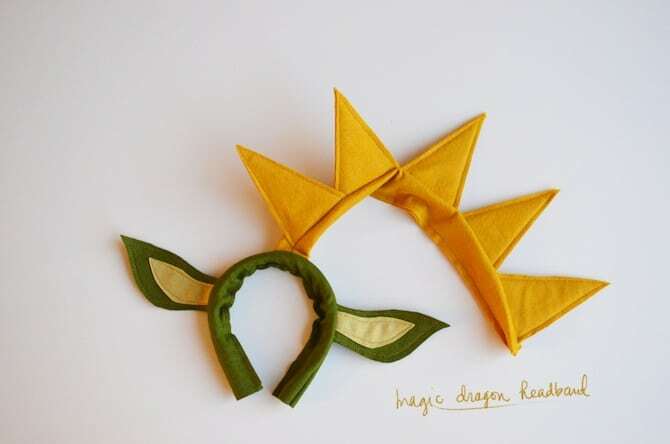 Cut out all your pieces (4- outer ears, 2- inner ears). 2. Center the inner ears on top of the outer ears and sew on. 3. With right sides together, sew the base of the ear. Repeat for remaining ear. 4. 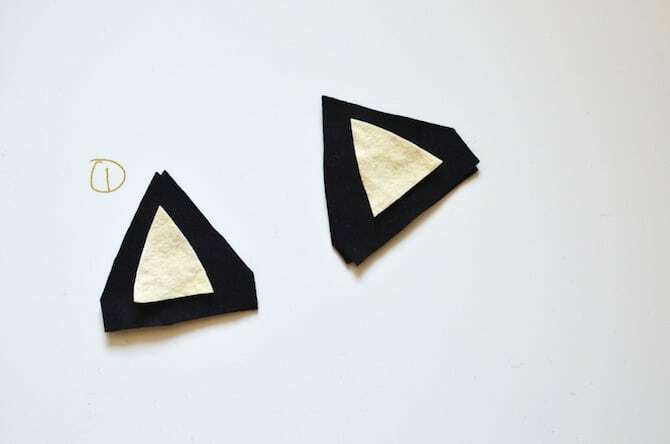 With wrong sides together, sew around the perimeter of the ear. 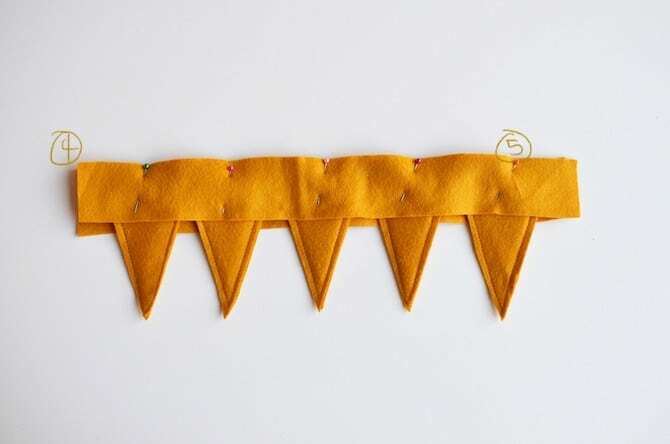 Start and stop your stitch ¼” – ½” (depending on the thickness of your headband) above the base of the ear to allow room to insert the headband. 5. 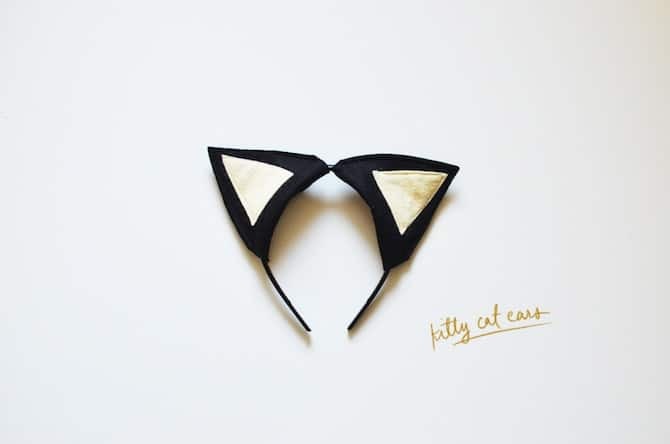 Feed headband through ears and it’s purrrrfect! 1. Cut out all the triangle (10 total) and interfacing pieces (5 total). 2. Sew around the tops of the triangles. Leave the bottom open to insert interfacing. 3. 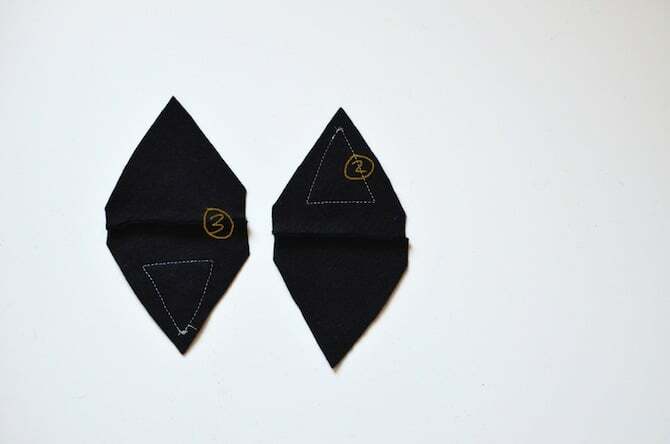 Insert interfacing into each triangle. 4. Cut out 2- 2” x 16” strip of wool felt. 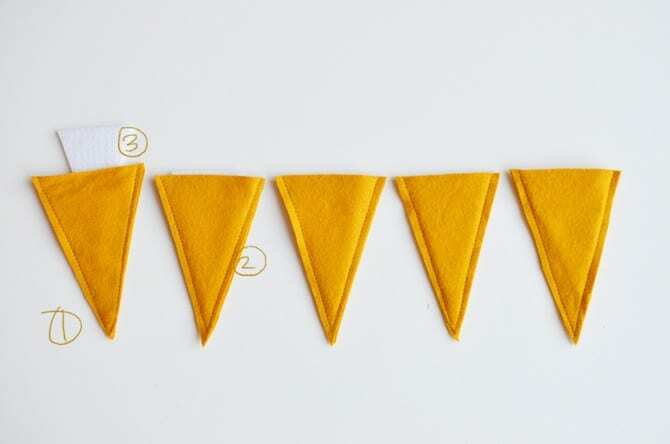 Lay the triangles with the base of it side-by-side and sandwich it with the long strips, line up the edges (the base of triangle and the strips), pin in place and sew. 5. Place strips with wrong sides together and sew ¼” from the edge. 6. 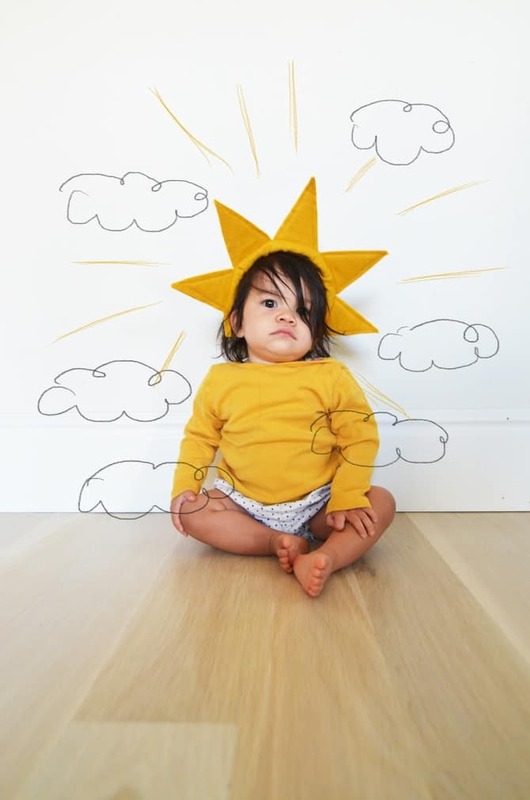 Feed headband through the opening and you’re walking on sunshine! 1. Cut out all the pieces (4- outer ears, 2- inner ears, 2- 2” x 16” wool felt strips). 2. Line up the base of the inner ear on the outer ear and sew on. Repeat for remaining ear. 3. With wrong sides together, sew around the ears. Repeat for second ear. 4. Make the dragon spikes. See the Sunshine Headband instruction. 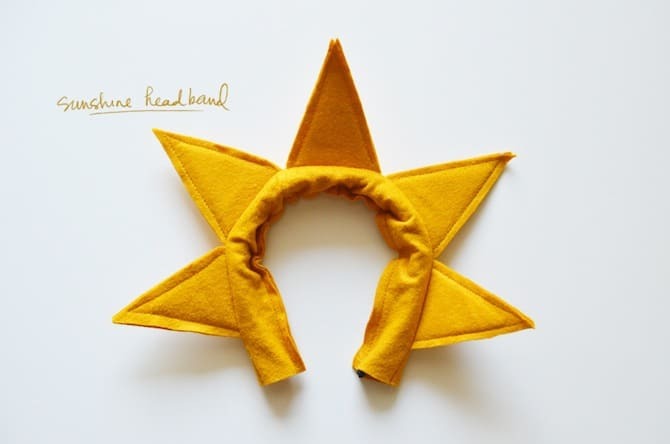 The only difference is you fold in one end ¼” and sew close instead of feeding a headband through. 5. Pin the ears and spikes in place. For the spikes open up the tube so that the center seam (and the spikes) are face down (just like the inner ear is face down) and pin in the center of the strips. Pin each ear 3” from the spikes. 6. 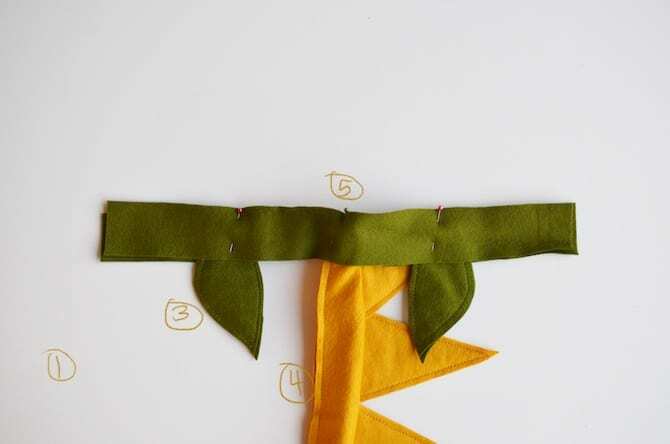 Place strips with wrong sides together and sew ¼” from the edge. 7. Feed the headband through the opening and voila! 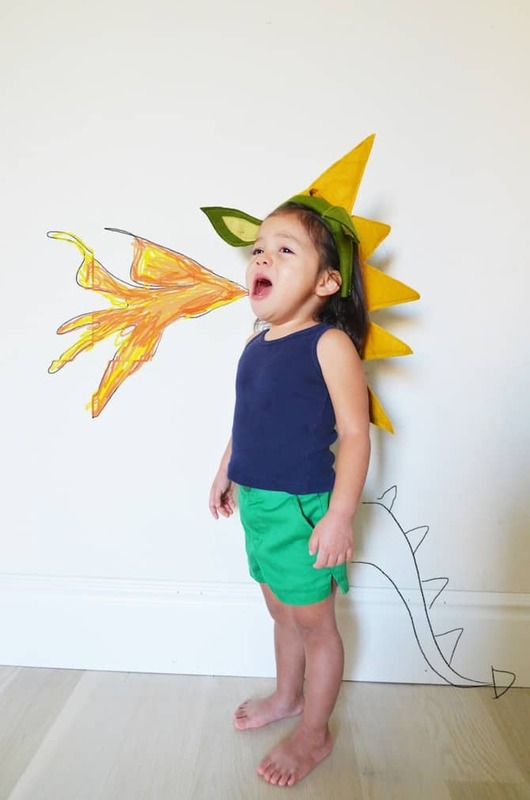 You’ve got a dragon! 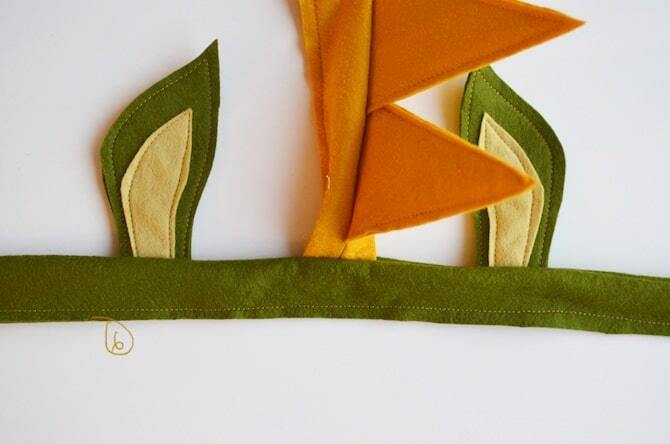 The magic dragon headband is just what I need to make to finish my daughter’s dragon costume, thank you! 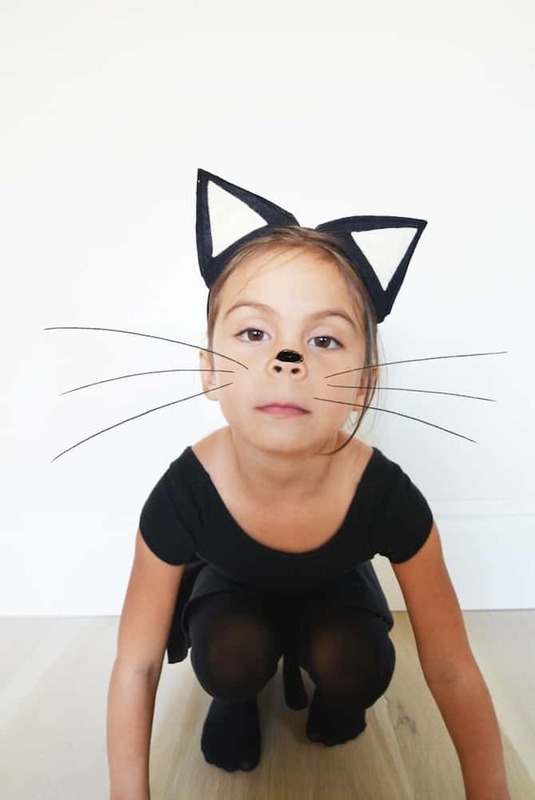 I’m planning on having a dress up themed birthday party and I’ve found everything I need for costumes on your site. When the desert iguana matures, its growth ranges from ten up to sixteen inches long. Did you create this amazing site yourself? Please reply back as I’m attempting to create my very own site and would love to learn where you got this from or what the theme is called. Appreciate it! What’s up, I desire to subscribe for this web site to obtain hottest updates, thus where can i do it please help. 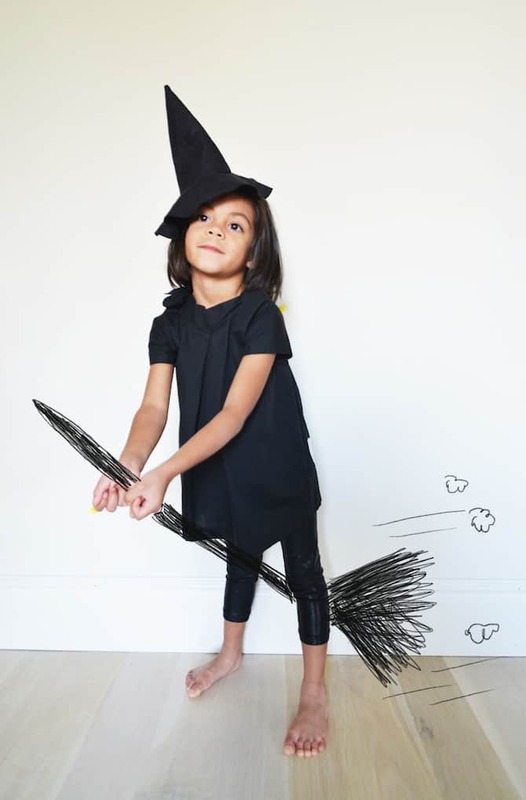 I love these adorable ideas!